It’s not a regular occurrence that a player of Manchester United can be underrated, or even under-appreciated. Playing for Manchester United brings a beaming spotlight over one’s head almost twenty-four hours a day, whether that be in their private life, or on the pitch, meaning it’s highly unaccustomed for a player to go under the radar for his performances in a United shirt. This is the case for one Jesse Lingard though. Born in Warrington, Jesse’s talent was spotted from an extremely early age. At just seven years old, he joined Manchester United’s youth academy from Penketh United progressing rapidly, and in 2011, along with team-mates Paul Pogba and Ravel Morrison, he was part of the team that won the 2010-2011 FA Youth Cup and later earned himself a professional contract at the club under Sir Alex Ferguson’s reign. Jesse was outshone by friends and team-mates Ravel Morrison and Paul Pogba, with many believing if there was any success from this generation of Manchester United youth, it would be Ravel and Paul. Despite Manchester United recently re-signing Paul Pogba, this wasn’t the case. Jesse flew under the radar entirely, as at the age of 23, 14 years on from when he joined Manchester united’s academy, he is still at the club. Jesse was a late bloomer. Marcus Rashford hit the limelight at 18 years old, Timothy Fosu-Mensah also at 18-years of age, despite not coming through the Manchester United youth ranks, Anthony Martial also made his presence known to the footballing world at a young age, but Jesse Lingard is still having to prove his doubters wrong at 23-years-old. Four years on, the boy from Warrington had scored twice at Wembley within a few months and helped claim Manchester United’s 12th FA Cup, but still, he is not deemed to be ‘Manchester United standard’ by some fans, raising the question as to why? Jesse Lingard didn’t create a scene at Manchester United after his breakthrough, he didn’t arrive for an extortionate sum of money nor did he score two goals on his debut in the Europa League like one Marcus Rashford did, his breakthrough was at 23 years old in a season that deprived Manchester United fans of any reason to become excited. The spotlight was already highlighting Anthony Martial, the next Thierry Henry some said, and when it started to burn out it only lit up again once Marcus Rashford burst onto the scene and with Rashford being English the hype grew bigger and bigger. 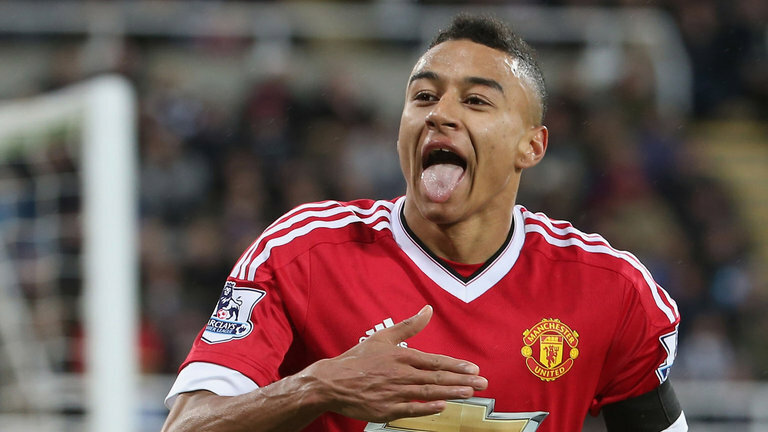 Even with Jesse Lingard being English, people don’t see him as someone who should start for United. It’s possible to see that his lack of appreciation is due to the fact he’s not flashy enough, many fans hold Memphis Depay in high regards after a season of disappointment because he can pull off the odd nutmeg, a few step-overs here and there, yet a player who has scored two goals at Wembley for the club, not to mention numerous good performances during the Premier League campaign, should be sold because he isn’t Manchester United ‘standard’. Now, let’s bust this myth of the ‘Manchester United standard’ because to me if a player does his job and he does it effectively, then I want him starting every game, young fans plead for Memphis to start after showing a lack of effort in most games yet someone who doesn’t stop working for his team, that being Jesse Lingard, should keep the bench warm. In modern football, some fans would rather see a £50million flashy player, repeat average performances with the occasional buzz of excitement, than someone who works hard for the team but perhaps is someone who delivers a fan bragging rights. Don’t get me wrong, I rate Memphis highly, but it pains me to see someone such as Lingard receive a lack of credit when in terms of working for the team, he should be receiving the most. Jesse has been at the club since the age of seven, despite loan spells at Leicester, Birmingham, Brighton and Derby, he never sulked, he never caused a scene and tried to push a move to another club, and the faith Lingard had in himself and Manchester United is now being repaid as he ponders on his first season under Jose Mourinho, and rightfully so. At twenty-three years of age, Lingard could potentially be at the club for a decade if all goes according to plan, and being an academy graduate, it would cost the club very little. Praise for Jesse Lingard comes in a short quantity, such much so it’s almost as if he isn’t a Manchester United player in comparison to how much he’s spoken about, but I dearly wish he will go on to become a big success at the club, showing again how successful our academy can be.